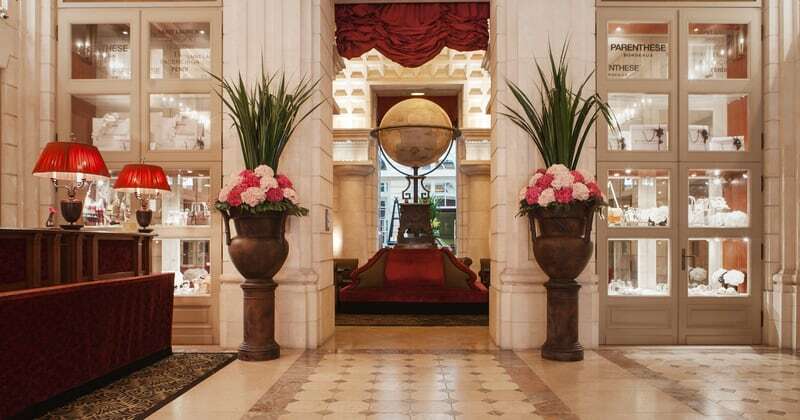 The Intercontinental Bordeaux – Le Grand Hotel has recently undergone a complete renovation, which remains respectful to the 18th Century building’s history, whilst allowing guests to enjoy a full range of modern luxuries. The rooms, all designed by renowned French architect Jacques Garcia, are in a 19th Century style, with rich fabrics and marble bathrooms. At the Grand Hotel, guests are invited to experience the epitome of luxury. The hotel boasts first-rate facilities and all of the services expected of a 5* establishment. The 1000m² Bains de Les Spa, is a haven of relaxation. The Gordon Ramsey restaurant offers fine dining and some of the best wines from the neighbouring Bordelais vineyards. For a more casual dining experience, Brasserie l’Europe offers fresh and original cuisine with an outside terrace. The Victor Bar has an exciting array of cocktails from the classics to innovative creations by the head barman. It also comes highly recommended for whisky connoisseurs. Valet parking and a concierge service are also available. 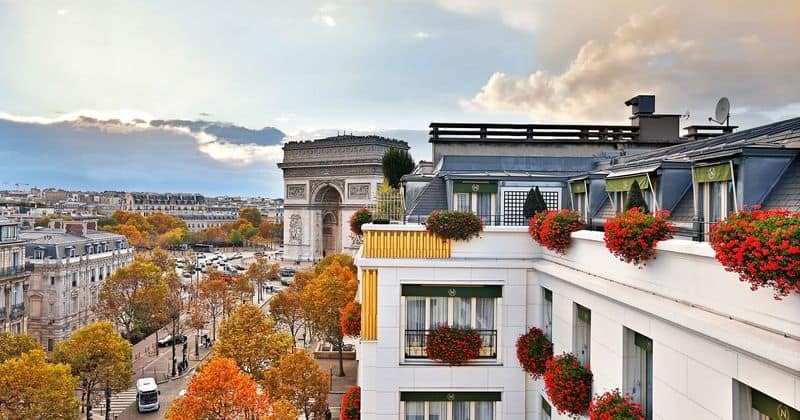 The Hotel Napoleon is a stunning Parisian 5* hotel, just over 200m away from the Arc de Triomphe, at the top of the Champs-Elysées, within easy reach of all the city’s major attractions and landmarks via public transport- the nearest metro stop is just a 4 minute stroll away. Hotel Napoléon boasts many excellent facilities. The fitness club is exclusively for the hotel’s guests and offers the chance to work out whilst enjoying spectacular views over the rooftops of Paris. Guests can also enjoy spa treatments, including facials, manicures and massages. The stylish Bivouac Café is the hotel’s popular restaurant and bar, where you can delight in delicious breakfasts, gourmet lunches and pre-dinner aperitifs. All rooms are beautifully decorated with grand décor and come with King or Twin beds, air-conditioning, iPod docking station, en-suite with bath and complimentary LOccitane toiletries as well as a separate lounge area and tea and coffee making facilities. 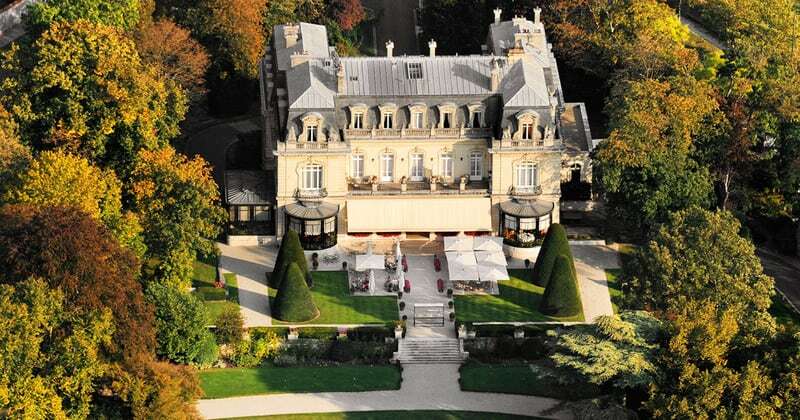 Les Crayeres was built in 1904 by the Pommery family as a palace for Champagne royalty. The Château is set amongst magnificent landscaped parkland and is yet just 1 ½ miles outside of the centre of Reims and is adjacent to (and probably on top of) the cellars of Champagnes Pommery, Veuve Clicquot and Ruinart. A truly stunning Château set in 17 acres of landscaped gardens; it also boasts “Le Parc” restaurant, which is something of a Mecca for lovers of gourmet food. For a less formal atmosphere but fabulous cuisine, “Le Jardin” brasserie has established the perfect balance between splendour and comfort. Each room is unique and decorated in the finest fabrics and furnishings. The Château’s celebration of the elegance and grandeur of Champagne is reflected in the true luxury you will experience during your stay. Every room is air-conditioned with an en-suite shower and bath, cable TV, broadband internet access and direct dial telephones. 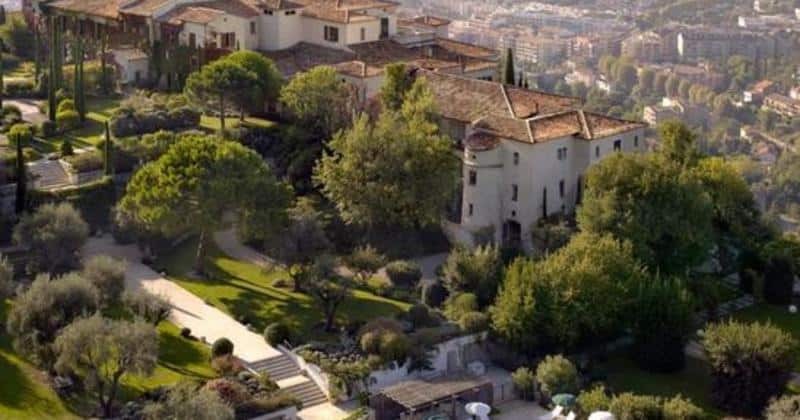 This 12th Century Knights Templar Castle has been transformed into a fabulous 5* hotel with stunning panoramic views over the French Côte d’Azur and truly luxurious facilities to ensure guests a very relaxing and invigorating stay. The property is built within 32 acres of verdant gardens, in the historical village of Vence. The gorgeous outdoor swimming pool with its terrace and olive trees is the perfect place to relax. The spa offers a wide range of treatments as well as a sauna, steam room and a fitness centre. The hotel has two restaurants on site, the gourmet Le Saint-Martin and the summer restaurant l’Oliveraie, both under the supervision of Chef Jean-Luc Lefrançois. 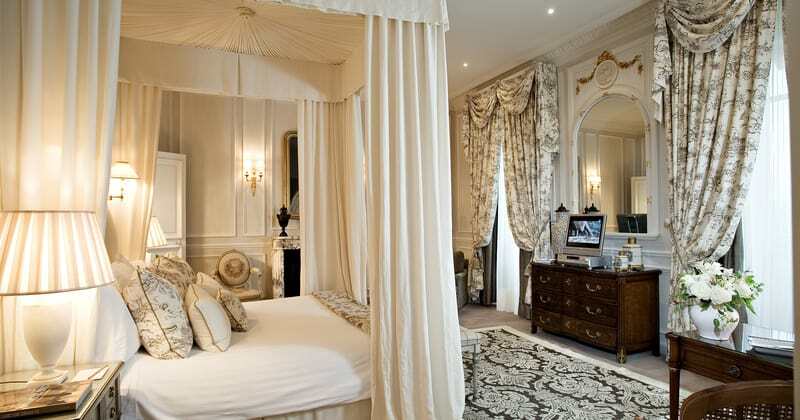 All rooms are decorated with taste and boast refined, sumptuous interiors.